Long time Carmi resident, Frances L. York, 88, of Rockport, IN and Ft. Myers, FL passed away at 2:18 p.m., Saturday, June 23, 2018 in Rockport, IN. She was born on May 26, 1930 in Enfield, IL the daughter of Curtis and Laura (Jordan) South. Frances married Donald G. York on July 26, 1947 and he preceded her in death on January 31, 1996. She was a homemaker along with working along side her husband, Donald, at York Fiscus Chrysler Plymouth in Carmi. 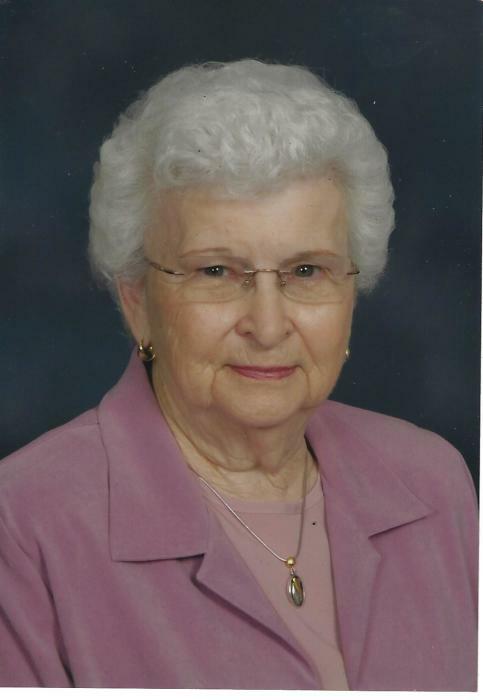 Frances was a member of the First United Methodist Church in Carmi where she was involved with the Wesleyan Circle Guild. She enjoyed reading, knitting, crocheting and watching St. Louis Cardinal baseball. Frances is survived by two daughters, Donna J. Whitley of Carmi and Sue (Don) Harris of Evansville, IN; a son, Kevin (Lisa) York of Rockport, IN; six grandchildren, Juli (Mike) Williams, Jill (Richie) Fulkerson, Jon (Rina) Harris, Jay (Jodi) Harris, Jordan York and Jacob York; eight great-grandchildren, Keely Brown, Kinzy Blazier, Keiston Williams, Kramer Williams, Sai Harris, Jaiden Harris, Dylan Harris and Tyson Harris; and five great great grandchildren, Kruze and Kesler Brown, Landyn and Kreed Blazier and Kasen Gunter. She was preceded in death by her parents, husband, Donald; a son-in-law, Ronnie Whitley; a great-great granddaughter, Sawyer Blazier; and three brothers, William R., Jack, and Stan South. Funeral services for Frances L. York, 88, will be at 1:00 p.m., Wednesday, June 27, 2018 at the First United Methodist Church in Carmi. Burial will be in Enfield Cemetery in Enfield, IL. Visitation will be held on Tuesday from 5:00 p.m. to 8:00 p.m. at Campbell Funeral Home in Carmi and on Wednesday from noon until service time at the church. Memorial contributions may be made to First United Methodist Church in Carmi and will be accepted at Campbell Funeral Home in Carmi.